I work as a nursing assistant where I work 12 hours at a hospital. I am on my feet a large part of the day. 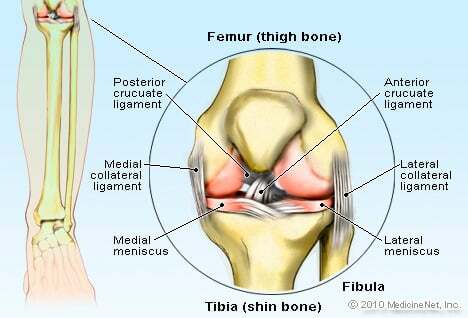 My knee bursitis causes a lot of pain and makes it hard to walk. I am going to have drawing the fluids off the knee and cortisone injections; hoping it will help. For the past year I was involved in mobile home refurbishments. Of course this meant spending a lot of time on my knees putting in electrical outlets and moldings. Now my right leg is badly swollen, and I can barely put weight on it. This knee bursitis is scary stuff. I go in today for tests. There's a lesson here for all of us. If you have to be on your knees, get yourself a nice set of cushioned knee protectors. Had I done that a year ago, I probably wouldn't be in agony right now. I recently was diagnosed by my VA (Veteran Affairs) doctor to have anserine bursitis of the right knee. I have a lot of pain in both legs and feet because of permanent damage to the nerves in my back from degenerative arthritis, so at first, I thought it was related. Then, I realized this was different because it also hurts to touch it, and is extremely painful to walk on. The doctor says to take 400 mg. 4 times per day, avoid crossing legs, and bending, put a pillow between legs when laying on side, and ice for 15 minutes every 4 to 6 hours. I hope this helps. He says to contact him if it doesn't appear to help. I just started treating it, so I will see. Also, I was a floor installer in for about twenty years, bending down on concrete floors for 8 to 10 hours per day, and I live in a basement house where I climb up and down stairs constantly, as my bedroom is downstairs. I stocked shelves which involved constant kneeling and getting up again for about a year, and my knees were swollen and constantly hurt, by the time I quit. It's a little over a year later and my knees still hurt all the time, though they are no longer discolored or swollen. Sleeping on my side with a pillow between my knees used to help some but it doesn't anymore. Only stretching my legs out on a flat surface ever seems to lessen the pain a bit. I'm still pretty young and it worries me what my knees will be like for the rest of my life. I am a 51 and have had bursitis for a year. I fell about a year ago. I have iced it and raised it, but this does not help. I don't know what to do. It is bigger than my left knee and is swollen and red.